You are at:HomeUncategorizedQUIZ: How badly do you need groceries? QUIZ: How badly do you need groceries? A. Doing a flip-flop over the full gallon you see on the top shelf. Unfortunately, you misjudge the kitchen space which results in bad bruises, a tad bit of head trauma but vast amount of Oreos & milk. *B. Diluting the gallon containing only 3/4 of a cup of milk with some water so you can get those Oreos at least a tad mushy. 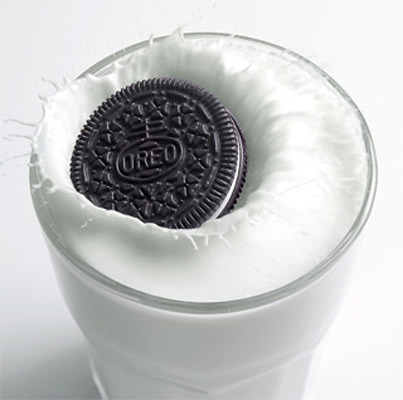 C. Content that you can have a nice glass of milk with your Oreos tonight, a bowl of cereal in the morning and 3 consecutive glasses of Ovaltine just before your lunch of milk soup. D. Breaking and entering into your neighbor’s house for that white gold. A. So much shampoo that you wash your hair over and over and over and over and over again. Once you emerge from the shower, the Sun Maid lady comes out of nowhere and tries to stuff you in a big red box. B. Yourself mixing the last of the shampoo with water in a desperate attempt to make suds to clean that greasy mop of yours. Empty containers of Crisco are lining up outside of your bathroom hoping for a dibs at that grease if that mixture doesn’t work out. C. Just enough shampoo to make your hair clean and free of small rodents, gnats, lice, fruit flies or birds. *D. Nothing. You get out of the shower, drip water all over the floor, grab the Dial hand soap & pump it like a maniac onto your dirty head. A. Hordes of that fancy Plugra European Butter staring at you from inside the refrigerator. You end up making so many cookies with the excess butter that you gain 20 pounds in 24 hours and lose all of your teeth. B. Less than 1/4 cup of real butter. You decide to mix it with margarine in the hopes that you won’t ruin the cookies and your fragile self-esteem. You are still trying to get over the fact that you had to cover yourself in Vaseline to get through the gym doors recently. 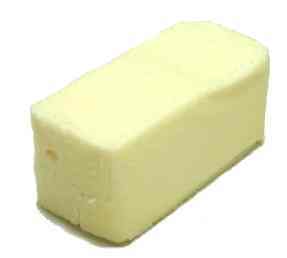 C. Two sticks of butter, like the recipe required. You wipe the sweat from your brow and immediately soften the butter to put into the cookie batter. You do a split leap on the way to the microwave. *D. Nothing. You use margarine instead. This totally ruins the cookies and your husband’s mood. He now insists that you just get the pull-apart-and-bake kind no matter how much you beg and plead that things will be different next time. A. That a tsunami of Secret (or Right Guard) pours out of your bathroom cabinet and knocks you off your feet. B. If you push the stick of deodorant up anymore it will crumble. It crumbles. You must now act like you are coloring your pits with a large white crayon. C. The right amount of deodorant to ensure that you do not cause severe illness or the need for an oxygen mask in any of the people you encounter throughout the day. *D. Nothing. You borrow your husband’s. You forget that you borrowed it later in the day and keep asking, “Is that you?” because you can smell him nearby. You become increasingly flustered at his superior hide-and-go-seek abilities and begin crying uncontrollably. A. You have to spend 30 minutes rearranging boxes and bottles of detergent as the washer and dryer are covered in them due to a sale at CVS, The Dollar General and your local grocery store all during the same week. You vow not to buy that much detergent next time…unless you have a comparable quantity of dryer sheets. B. You have to tilt the large liquid detergent dispenser while simultaneously pushing the life out of that blasted button on the detergent spout. This results in a few measly drops of liquid, which you have to mix with water, as well as a big bump between your eyes from the detergent container losing it’s balance on the top shelf and knocking you right in the face. C. Just enough detergent to wash Mt. O’Clothes and prevent people from running away from you and your family in horror. *D. Nothing. You find the Febreze and douse the heck out of anything your family insists on wearing that day. A. Opening your gigantic rolling suitcase stocked with a full box of Pampers, a changing table and never-ending wipes. B. washing the dirty diaper out in the sink, drying it under the hand dryer and putting it back on your poor child’s hind end. C. Giving an unsuspecting mother a high five because you find that you have one last diaper in the diaper bag and 3 wipes. Unsuspecting mother finds you very odd and immediately tweets about your awkward behavior, especially since you missed her hand. 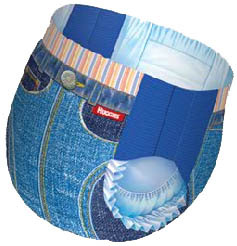 *D. Buying itty-bitty underwear, stuffing the heck out of them with paper towels and praying that your son does not totally drinch his drawers, for goodness’ sake. A. That you must start drinking some of the juice boxes yourself as they are taking over your pantry and leaving no room on the shelves for bread, white asparagus or hot pink beets. B. An already opened juice box. You pour some water in through the tiny straw hole and re-seal it with electrical tape and your caulking gun. You pray it is not obvious that it has been opened already. C. A single juice box ready to jump into the lunch box. He’s been waiting for this day all of his life. *D. No juice boxes. You quickly toss in a can of Coke and ask your son to duck under the table every time he needs a drink, as your reputation as a health-conscience mother is on the line. You immediately act as if you have fainted when your son returns home with an unopened can of Coke and your husband is the one who cleans out the lunch box. A. Pepto-Bismol, Kaopectate and Immodium-D gossiping about your horrible, filthy eating habits but cheering that they have a job. They are also planning secret missions around the house which involve placing donuts, fried butter and Texas-sized chicken fried steaks in tempting places. They want you to be tore up from the floor up. B. A few drops of each of the above medicines. You decide to combine all three which results in you immediately bursting into flames. C. One dose of Pepto-Bismol waiting patiently for the end of his life. *D. Kaopectate. This sends you into a drastic and quick spiral of depression as Pepto-Bismol contains more than just bismuth subsalicylate to you…it also contains the key to your heart. 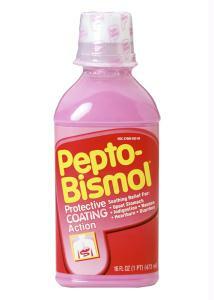 You + Pepto-Bismol = Forever. A. So many boxes of unopened toothpaste that the overflow is visible to your next door neighbors. Before you have time to open a box to provide relief to your children’s poor teeth, the “Hoarders” crew has arrived at your door. B. Visible remnants of toothpaste clinging like maniacs to the inside of the tube. You grab the small electric saw from your children’s toy box, cut the plastic children’s toothpaste dispenser in half and scoop that bubble gum-flavored mess right up. C. A smiling container of children’s toothpaste ready to serve you. *D. No children’s toothpaste. You have them use YOUR toothpaste which quickly results in them yelling that their mouth is on fire. They gulp water down like they just finished off a Route 44 of Hot Lava. 10. Which one of these is NOT one of the three sisters in the 1980’s country group “The Mandrells”? Mostly A’s: You may be a hoarder. Mostly C’s: Not so bad. Mostly D’s: Reeeeeeeeeaaaaaaal bad. Leave the computer! *My answers. I’m “mostly D’s” and am so ashamed! I’ll see y’all later. I’m going to the store! And Gertie wuddn’t no Mandrell, brother!